Bottle caps can be wheelchair lifts, and students can be tougher interviewers than staff: just some of the things I learned when applying to become a TA. I have been interviewed many times over the years – when applying to the role of support worker, bartender, retail assistant and even university student – but nothing could prepare me for my interview at Priestnall School. Not having set foot in a school since leaving my own secondary school in 2012, I had absolutely no idea what to expect. What sort of questions would they ask me? Would I have to demonstrate my classroom skills? Would they test me on my academic knowledge? In the weeks prior, I decided to find example interview questions and possible answers online, mostly via the TES website. I also trawled the blogosphere to see what I could learn from other people’s interview experiences. Generic questions such as the following were the most common. Why do you want to work in this school? Why do you want to be a teaching assistant? Why do you want to work with children? Others mention being asked how they would deal with a problematic student or challenging situation. In the week before the interview, I wrote out several answers to each of the questions I had found online, while also scrutinising the school’s website, Ofsted reports and safeguarding policy for information. Despite having prepared as much as I felt I could, I was still extremely nervous when the day of the interview came. I was first welcomed by the members of staff leading the interview, who then took me into the staffroom to meet the other interviewees. It was reassuring to learn that they came from a variety of backgrounds and with different experiences too. After a quick welcome talk and drink (or a brew, as I now know!) it was time for the first stage of the interview. This was a written task, in which we had 10 minutes to explain how we would respond to each of two hypothetical situations that could manifest in a school. For example, how we would deal with a student who was becoming too attached to us. Although this felt very much like a test, it was a good way of easing us into the day ahead. Two students then took all the candidates on a really informative tour of the school, after which we were taken into a classroom to be observed working directly with students on a practical task. Working with groups of Year 7 students, we were tasked with constructing bridges out of random materials, including string, plastic bottles, paperclips, and newspaper, which had to be sturdy enough to support the weight of a glue stick. In my group we formed a circle, each member putting forward their ideas in turn. We chose to make a newspaper drawbridge with a paperchain fence, held up by plastic bottles. When we had just about finished, one student rightly pointed out that, although we had made a string ladder for people to climb up, there was no wheelchair access. We therefore added a wheelchair lift made from a bottle top; the students were just fantastic! Although our bridge didn’t prove to be the sturdiest, it was definitely the most well thought out. And most importantly, it illustrated the inclusiveness of Priestnall’s students. 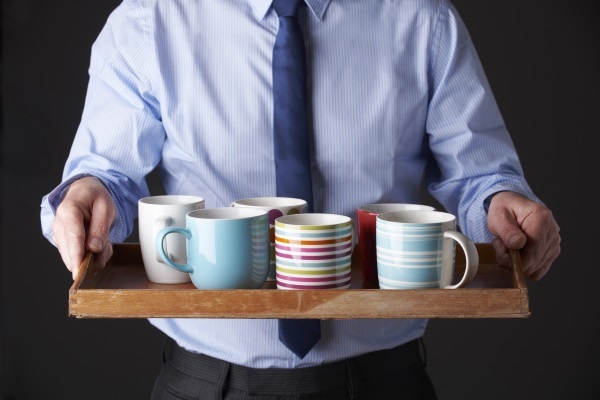 It was a really enjoyable part of the interview process and made me want the job even more. Without doubt, the most difficult stage of the interview process was not the formal interview itself, but the student panel. All of the candidates were forewarned by other members of staff that this would be the most gruelling part of the interview. ‘But how bad can it be?’ I asked myself, as I entered the room only to be met by four very serious-looking faces. A very stern-faced boy, clearly desperate to catch someone out, asked one of the toughest questions: ‘What would you do if a child was having a breakdown and locked themselves in a toilet?’ On the face of it, this might seem like a fairly easy question to answer. But thinking of an answer on your feet, for four students you are there to impress, didn’t prove so straightforward. Despite being the most nerve-wracking part of the day, I was impressed by how confident and professional each student came across. The formal interview took place after lunch. As I was the last candidate to be interviewed, I had some extra time to rehearse my prepared answers. But when my turn finally came, the interviewers asked none of the questions for which I had prepared. This was initially unnerving, but going off-script allowed me to answer questions more naturally. I described the work I had done, the difficult decisions I had made and the support I had given to pupils with their learning. A completely unexpected topic of conversation came in the form of singer-songwriter Van Morrison. When asked for an example of when I had worked well in a team, I recounted my experience of working in hospitality and serving Morrison. Suffice it to say the last part of the interview was a lot less stressful than the first! A mere half an hour after my interview had finished, I received a phone call from a member of staff, who offered me one of the teaching assistant roles. I have now been working at Priestnall for just under two months, and already I feel like a treasured member of the school community. I believe you can only fully understand what it’s like to operate in a school environment once you start working in one, but the holistic nature of the interview process at Priestnall afforded me valuable insight into the thoughts, talents and abilities of the students at the school. Moreover, it was a good opportunity to get to know the colleagues I would be working with, particularly the curriculum support staff. Throughout the day, staff went out of their way to make us feel welcome, something which hasn’t changed now that I’m working there. Although supporting children with SEND is a lot harder than I had ever imagined it to be, it’s also a lot more enjoyable, and certainly never boring. Based on my experience, here are the three most important pieces of advice I would give to someone applying to become a teaching assistant. Although my case was exceptional, it is likely that you will be asked some of those generic interview questions I mentioned earlier. Even if you feel that your answers are too well rehearsed, this is preferable to being lost for words in the interview. 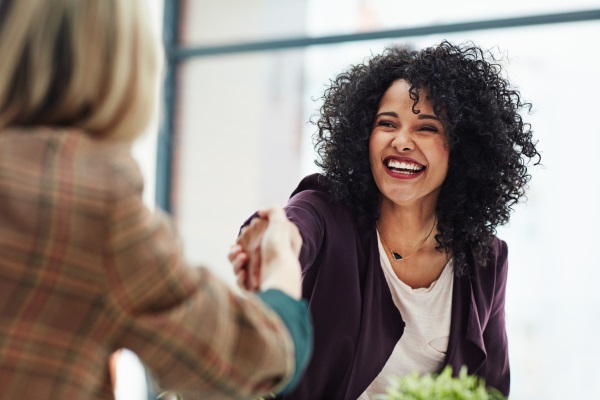 You should want to know as much as possibly about the place you will be spending most of your time in, and arriving well equipped with knowledge will impress your interviewers. Not just of the interviwer, but other members of staff you meet on the day. Not only will it give you a better understanding of the role, but it will show that you're keen to become part of the school community. 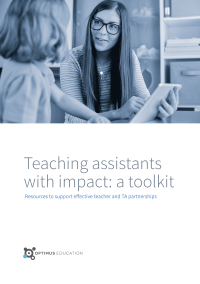 Download your copy of our free resource pack, Teaching assistants with impact, designed to improve the working partnership between classroom teachers and TAs.